Why not start with a pair of headphones for the first Hipster Pixel review? OK, I promise I will do a coffee related review soon! Sennheiser does not need any introductions, so suffice to say they are a company that creates great sounding (or sound recording) products. The Urbanite XL is their latest wireless headphones aimed, as the name imply, at urban dwellers living a life full of music, public transportation and with minimal friction between all of those. The Urbanite XL are of course, wireless using the latest in Bluetooth technology and if your mobile device is compatible, AptX for a greater bandwidth in data transmission and better sounding quality. My iPhone 6 does not have AptX, so it has to rely on the regular A2DP Bluetooth for transmission. You can also plug-in the cable, say if you don’t have any charge left in the batteries, and enjoy slightly better sound quality. There are two version of the Urbanite XL, one for iOS devices and one for a bunch of different Android devices. The difference is only the cable and its different button layout and functionality. Make sure you get the right one when you buy them. In the box there is also a soft pouch. You see, the headphones can retract to the middle of the band and take up much less space in your bag. They also included an original and quality mechanism to retract all the wires (protected by a rubber tubing) inside the band. Some headsets have cheap solution for this and eventually breaks, this is not the case with the Urbanite XL. It looks and feels very sturdy. 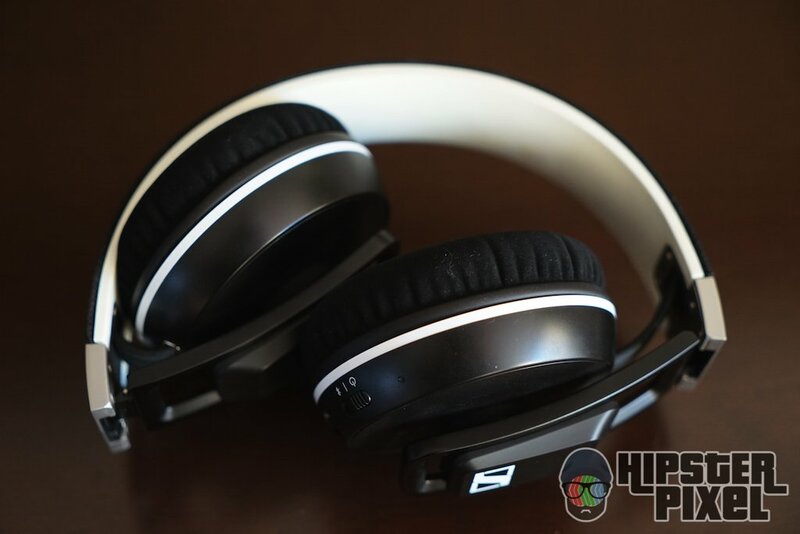 This type of headset is not for everybody and can be potentially very uncomfortable especially when using quality leather in the construction of the ear rests. I had issues with a great Klipsh M40 headset (warning, article is in French), after only 30 minutes my ears would be completely covered in sweat because they did not breath. Sennheiser tried something different from the usual plastic or leather, it’s a fabric of a velvet-like finish that is very soft to the touch and actually breaths much more than expected. No sweat problems here. The comfort is really good and for those wondering, they actually cover around the ear, but not as much as other studio-ready headsets. When you mention Bluetooth to most people, they are quick to judge on poor battery life. This is not the case with the Urbanite XL, they are rated at 25h of continuous playing and I must say I’ve gotten very close to this number over the last few weeks. It takes time to properly test battery life in such type of devices and I wanted to make sure I could really put it through its pace. Pairing is quick and simple and works very well. The headset speaks a cute “Connected” when it reconnects itself with one of your devices. And “Connection lost” when you go too far away or if the device paired suddenly shuts down. When moving away from the mobile device, the Urbanite XL offer a great range. I was able to change floor and go to the opposite side of the house without any issue whatsoever. Transmission was strong and clean. 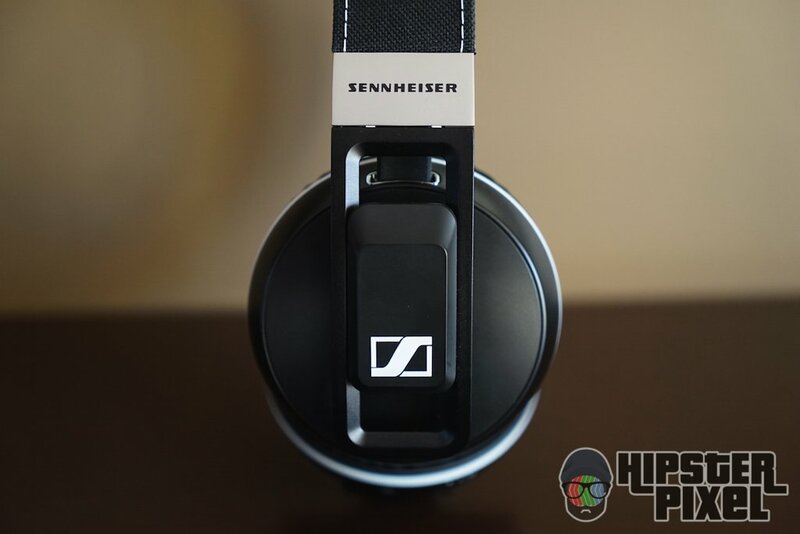 Great work by Sennheiser! You can also pair the headset with multiple devices, up to 8 maximum with 2 at the same time. I’ve been having issue toggling between my Mac and my iPhone when both were on and paired, so I ended up using the cord for the Mac. The headset automatically shuts down the Bluetooth connection when you do so. Very practical, this way I was able to seamlessly go from desktop to mobile in a few seconds without repairing or reconfiguring anything. The iPhone 6, my main test device, is not compatible with the AptX and sadly the Urbanite XL are not compatible with the Bluetooth AAC protocol. Therefore, I noticed a slight difference in audio quality between wireless and wired connected to my MacBook Pro. Nothing to call home about, but I thought it needed to be pointed out. In general the quality is very, very good. All frequencies are well represented in a balanced way. These are not Shockwave for the kids of the 90s, they do not overemphasize any bands. With music like Daft Punk, they do bring out the bass but not in a ridiculously way. Another great composer is Keiji Yamagishi, the composer of Ninja Gaiden, he recently launched a great chip-tune inspired album title Retro-Active Pt.1 that you should check out. This album has many different instruments, styles of music and is a great test album for any headset or speakers. 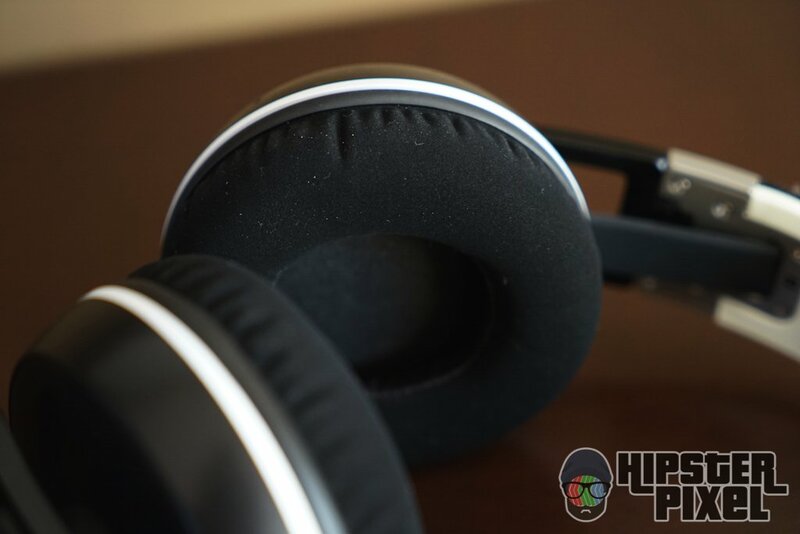 If you are looking for a quality pair of wireless headphones, I strongly recommend you check out the Urbanite XL wireless as they are the best pair to come my way. I have test many brands including Klipsch and 808 Audio and at the moment, the Urbanite XL win the gold medal. If you are expecting over amplified bass, this headset is not for you. They offer a well-balanced sound, great quality in the materials selected, comfortable ear rests and finally a strong mechanism that will last a long time. If only the pouch was a hard case, it would be perfect! 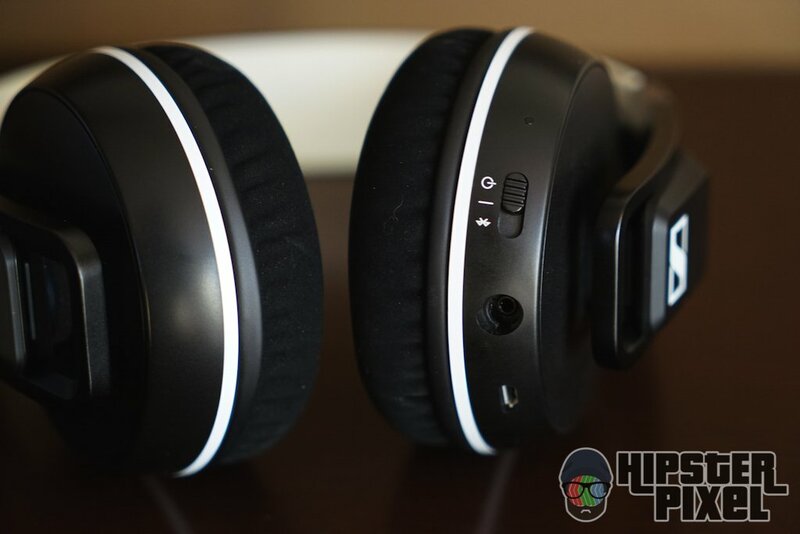 Ideal headset for young urban music lovers that are demanding in terms of quality. 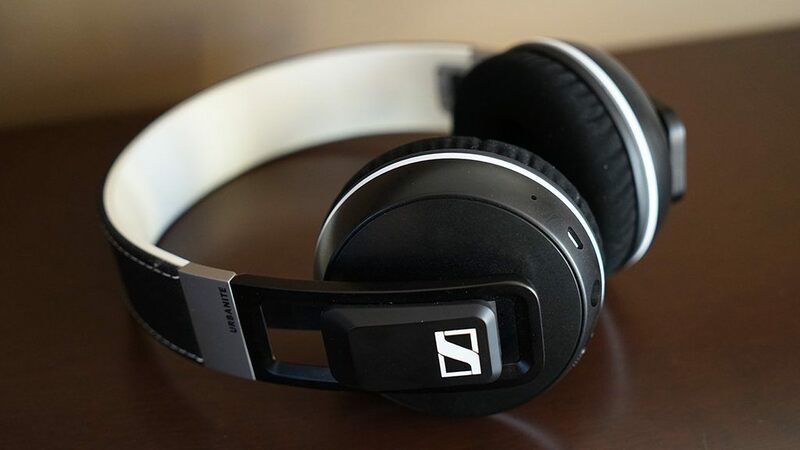 The Urbanite XL Wireless are Sennheiser's answer to this request.